About a week ago we posted that an update was coming to Viber, the popularÂ free VoIP call app that works very well over 3G/WiFi. 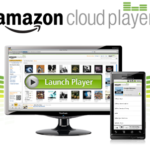 The latest update was to bring instant messaging, and was supposed to be out soon. Earlier yesterday, Viber’s PR rep commented on our blog saying “Viber 2.0 is now in the App Store”. However, upon searching the App Store, Viber isn’t anywhere to be found. Our friends at RazorianFly also noticed Viber missing as well. So did Viber get removed from the App Store? I don’t think so. The most likely scenario is their 2.0 update is still being processed and will show up shortly. We’ve seen similar situations happen before in the past to Skype. We’re in direct talks with the team at Viber, so stay tuned and we’ll keep you updated. This is a Viber Media representative. Viber 2.0 was available for download yesterday, but due to a technical issues some of our users encountered, we decided to pull back that version, thus making Viber unavailable temporarily on AppStore. 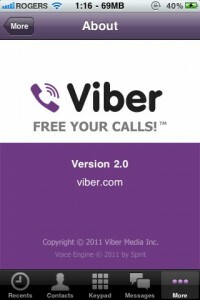 We fixed the problem and submitted the fixed version of Viber 2.0 to Apple, and it should appear in AppStore soon. Once it’s available, download it and the problem will be fixed.